Since first coming to prominence in the 1960s, Carla Bley has compiled one of the most interesting songbooks in modern jazz. And Around Again, a new album of Bley material performed by Iro Haarla, Ulf Krokfors and Barry Altschul, is a deep dive into her back pages, making a strong case for her credentials as a jazz composer. 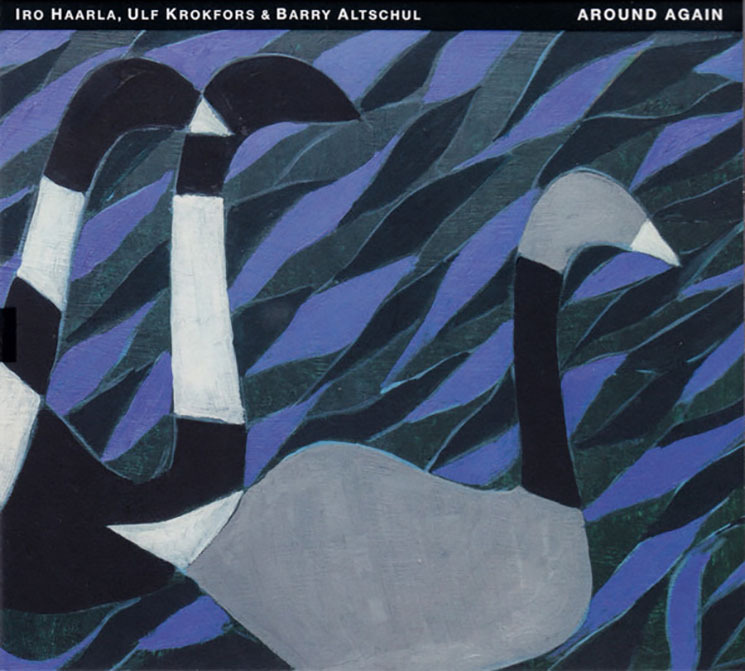 Around Again opens with "Closer," a showcase here for Haarla's piano; her playing is deliberate and introspective, twisting and turning, building up to a tasty Krokfors bass solo. This mood continues through a more well-known Bley piece, "Vashkar." Krokfors opens with a bass solo before Altschul and Haarla join. Altshul's drumming pushes the music, and there's some interesting interplay between Krokfors and Haarla throughout. The way this trio re-imagines Bley is most successful on "Olhos De Gato." It opens with Altschul playing solo for nearly a minute before the other two kick in — and it's Krokfors on bass who plays the signature lick, with Haarla's occasional piano jabs. The trio tease out the song's melody, stretching it to its breaking point.